When I was barely a teenager, I came across a recipe in one of the many cookbooks that my Dad owned. I guess you can say my love for cooking came from my father:) He was in the Air Force so he really didn't have much time to cook during the weekdays, but the weekends were his time to unwind and well... cook. Don't get me wrong... my mother was and still is a good cook, but I always remembered the weekends belonging to Dad. I have lots of great memories of weekend family shenanigans. The recipe I had found in one of his cookbooks was an easy one made with only a few ingredients. It was called Barbecue Cups. They were absolutely delicious, yet so simple. 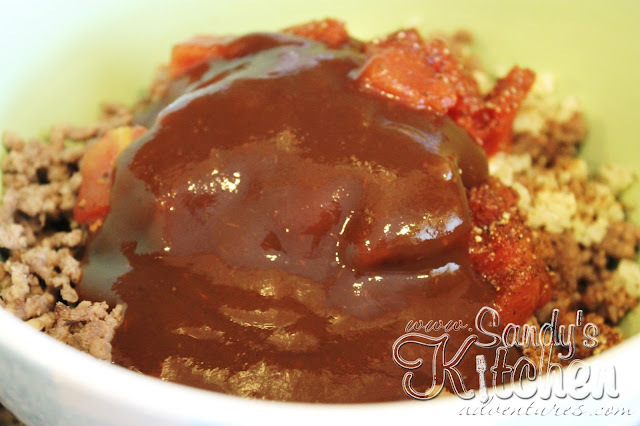 It consisted of ground beef mixed with barbecue sauce and then stuffed into a muffin cup. Each muffin cup was lined with refrigerated biscuits. They were topped with shredded cheese and placed in the oven. That's it! I told you they were easy. Well... being on Medifast, I can not have biscuits, but I found they were not necessary for this recipe. Yeah... biscuits are mighty tasty, but peppers work just as well. I just needed to find something that could hold the meat mixture, yet still taste great. I personally like the taste of sweet red peppers. 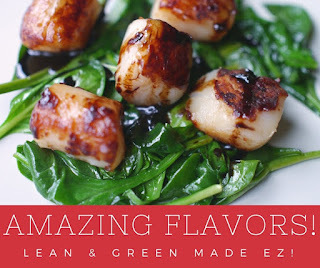 I love them raw, roasted, grilled, etc... Either way, they taste delicious! You don't even have to use red peppers. Use and color you like. I don't discriminate! They are all yummy to me! 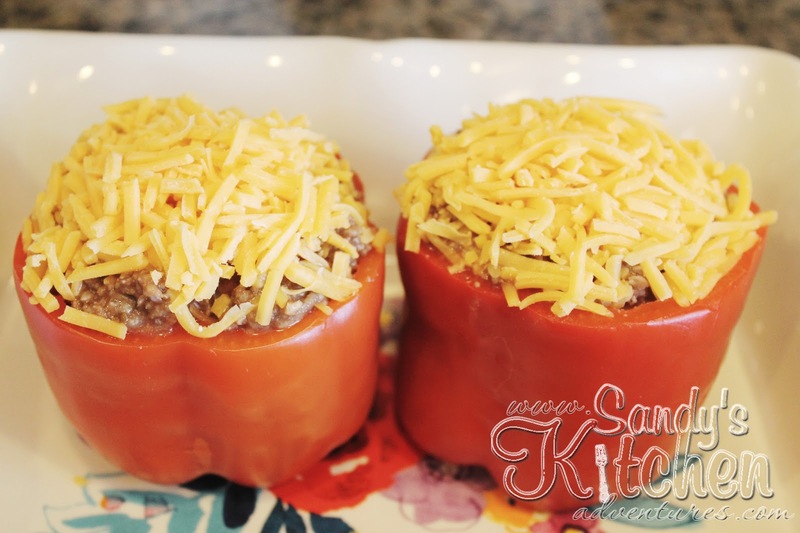 This recipe makes two Lean and Green meals, but feel free to double or triple the recipe if you have a large family or if you want more left overs! 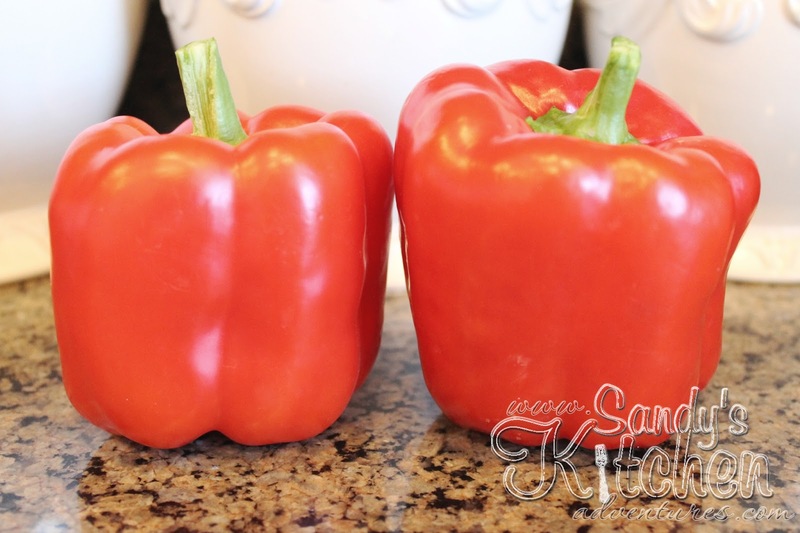 Start off by cutting the tops off the peppers and getting rid of the seeds and membranes. 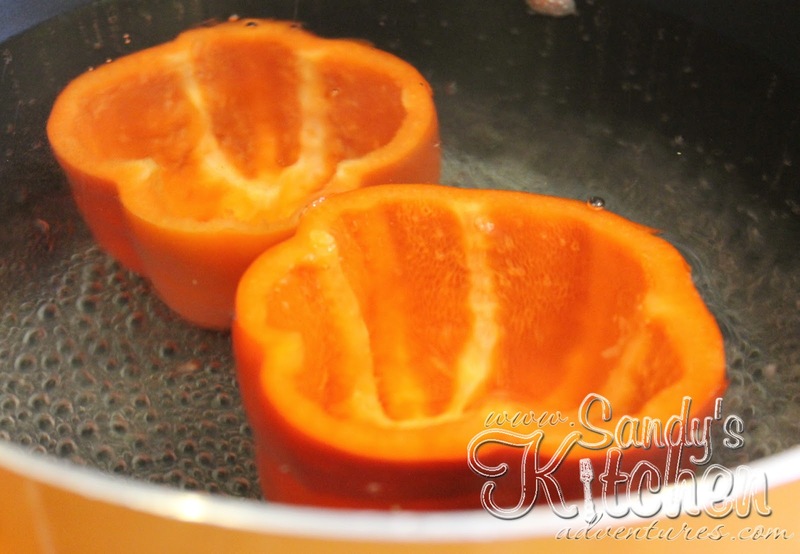 Then boil the peppers in a large pot of water for only 5 minutes. It helps soften the peppers so you don't have to spend so much time baking. Measure out 7.5 ounces of cooked lean ground beef. Use a food scale! It is one of those gadgets you should own for portion control. You don't want to cheat yourself of any food you may be missing or vice versa... getting too much of a certain food. It just makes measuring simpler. Set aside the ground beef. Next, measure out 1/2 a cup of riced cauliflower. 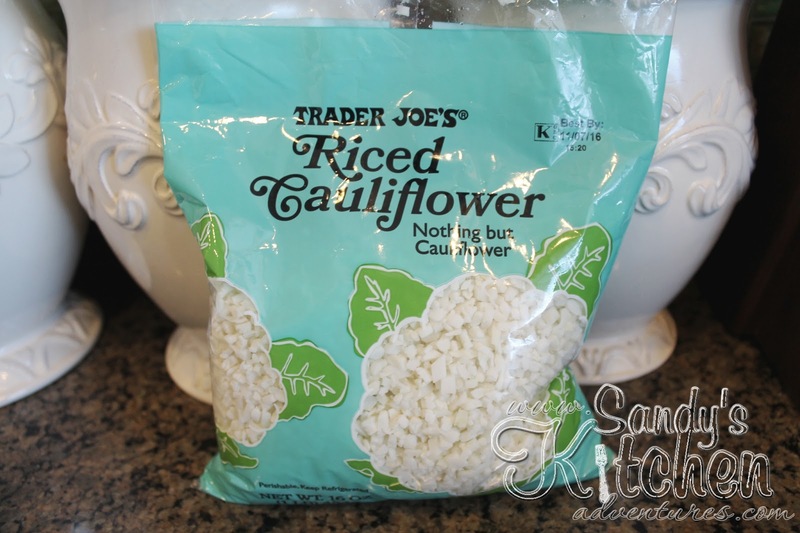 Riced cauliflower is a great alternative to rice so it works great in this recipe. 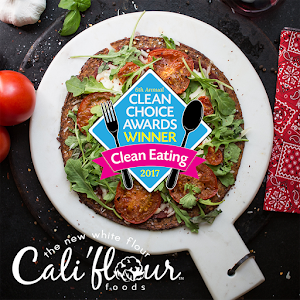 You can always grate your own cauliflower, but purchasing it already done is so much easier and saves some time! 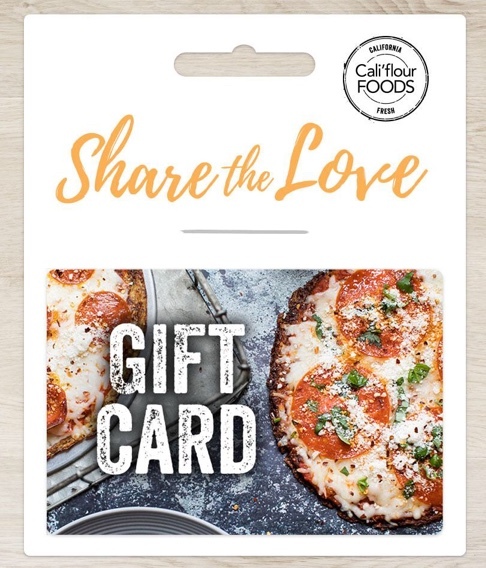 I purchased this at Trader Joes, but I have also seen it at Target and Costco. Cover the bowl of riced cauliflower with clear plastic wrap or place a plate over the bowl. Microwave a few minutes until the cauliflower is tender. Microwaving is the quickest and easiest way to cook riced cauliflower. No need to add anything, but I have seen some people add a little bit of oil to the cauliflower. It really doesn't need it, but if you ever need that extra healthy fat, then adding it would be a great way to get it in. 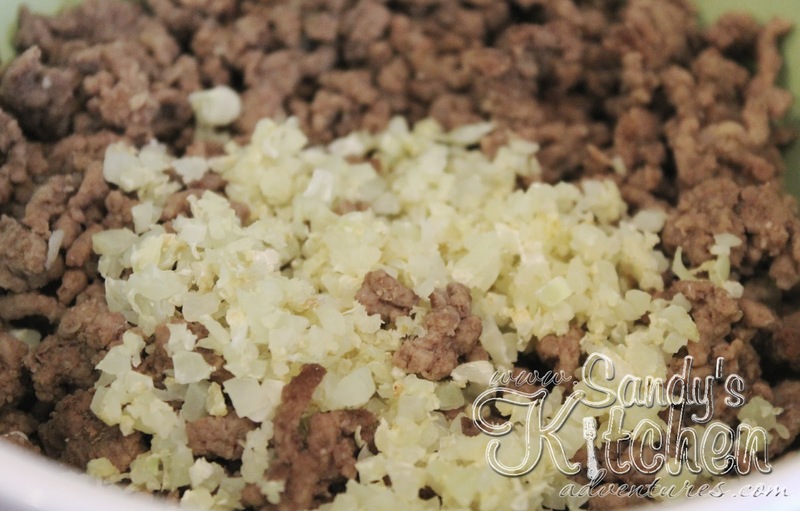 Add the cooked cauliflower to the ground beef. Then add the drained Italian diced tomatoes. 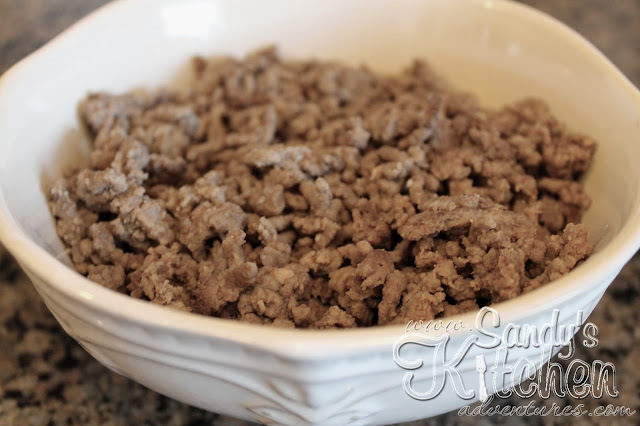 I like to use Italian flavor because the additional Italian seasonings help add more flavor to the meat mixture. 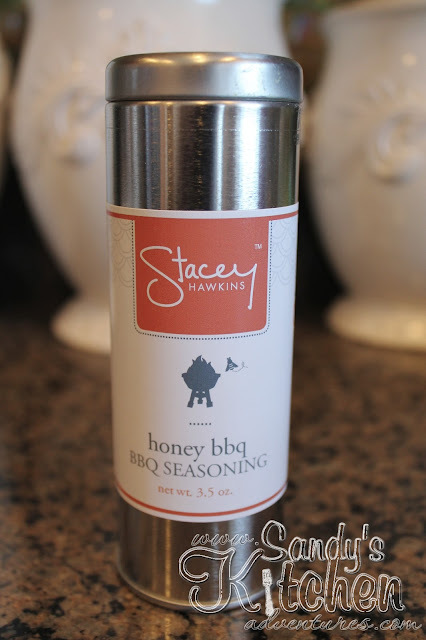 I added Stacey Hawkin's Honey BBQ Seasoning. It is delicious and it enhances the flavor of the meat mixture. If you don't already have it, you can purchase it HERE. It has quickly become a favorite of mine. 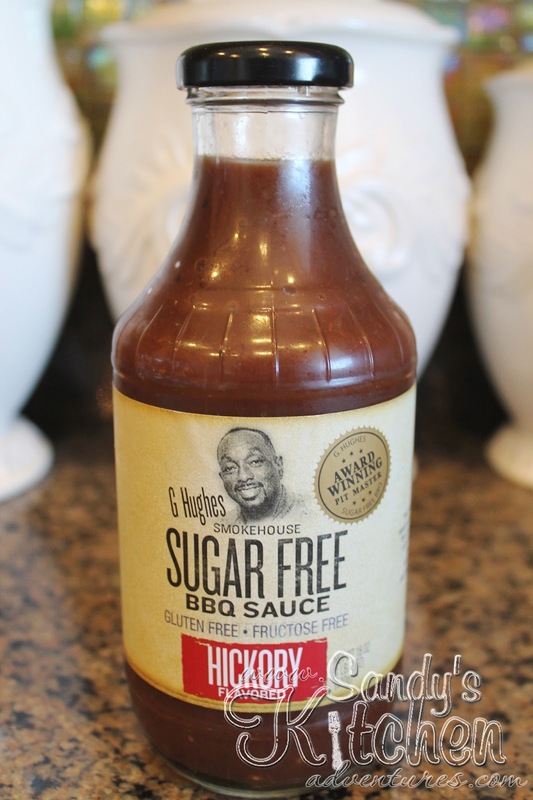 If you do not have the Honey BBQ Seasoning, don't fret! 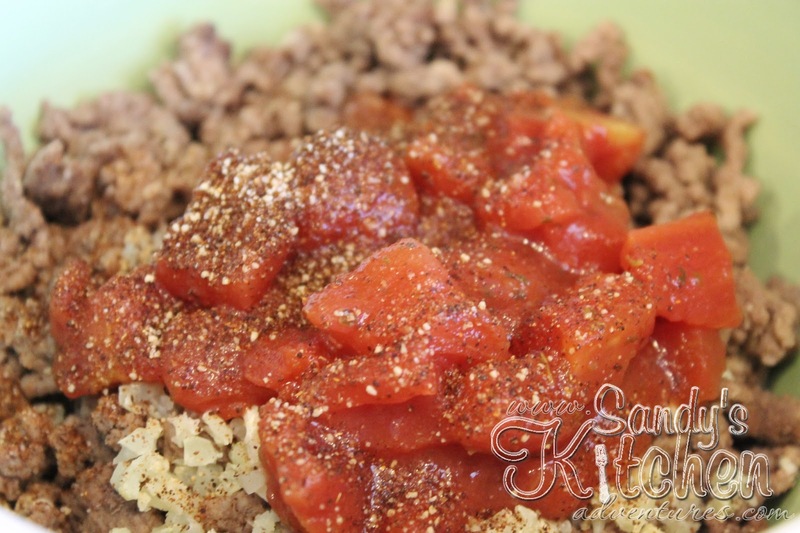 You can use any combination of your favorite seasonings. Just make sure you do not exceed two condiments total. Now you are going to add the barbecue sauce! I found this sugar free barbecue sauce at Wal-mart. I have to say... considering it is sugar free... it is pretty darn good! My husband who hates sugar free anything actually likes this one. It comes in a variety of flavors too! 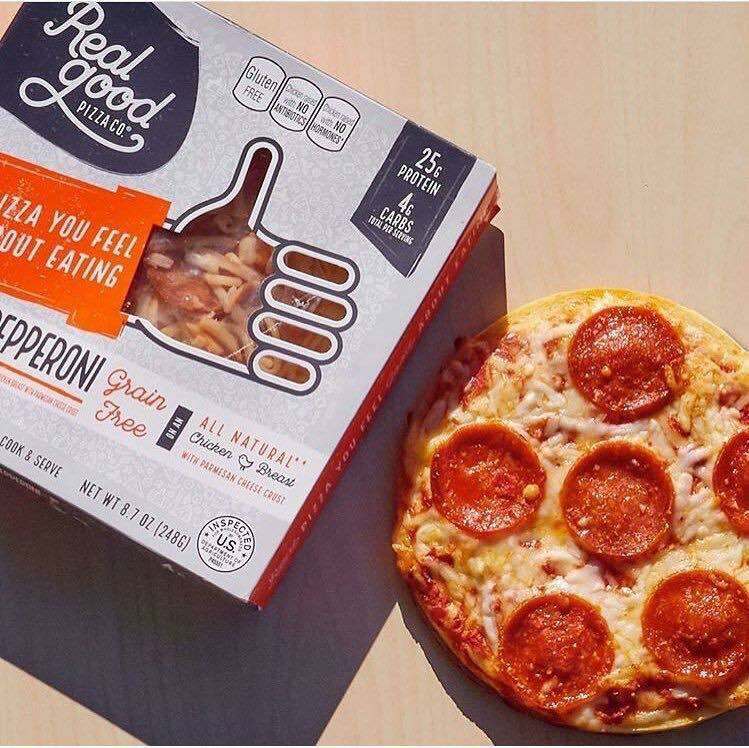 Mix all of the ingredients together until everything is combined. Stuff the meat mixture in the cooked peppers. Cover with aluminum foil and bake for about 30 minutes. 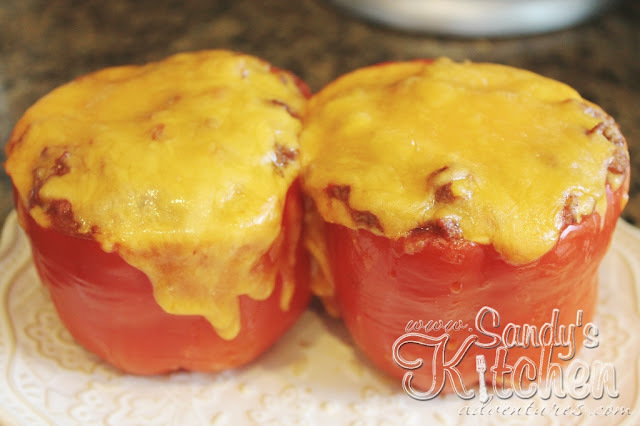 Uncover and sprinkle 1/4 cup of cheddar cheese on each pepper. Bake for about 5 more minutes or until the cheese is melted. Look at all that melted cheese! Don't they look heavenly? Enjoy! 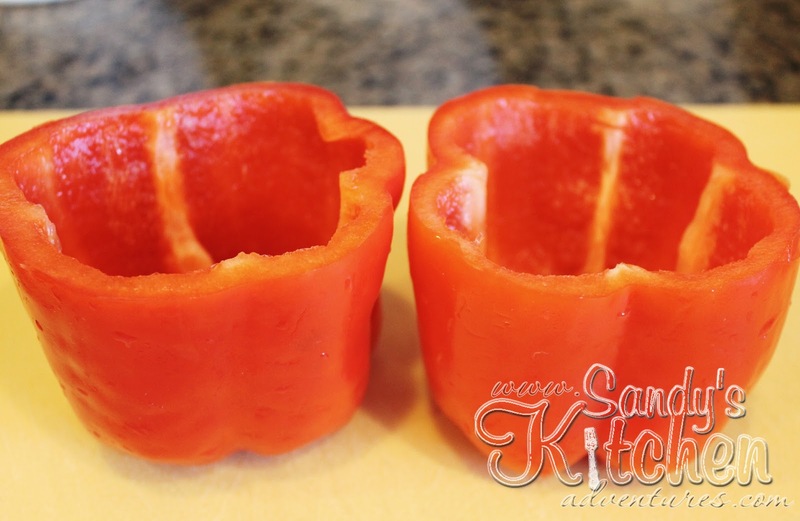 Cut the tops off both peppers. Discard the seeds and membranes. Boil a large pot of water over medium-high heat. 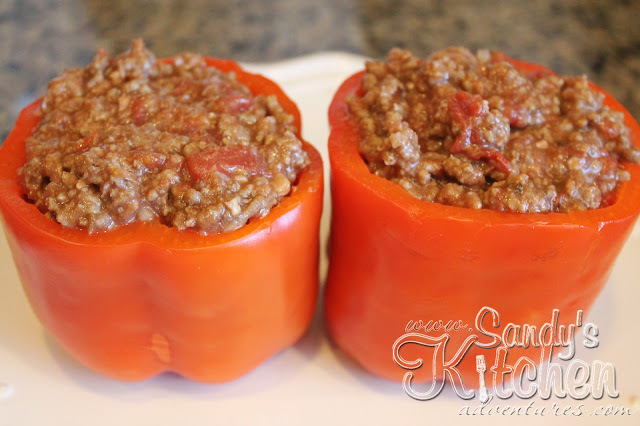 Add the peppers and cook for about 5 minutes or until slightly tender. Remove the peppers from the water and place the peppers upside down on a plate to drain the water. Set aside. Put the grated cauliflower in a small bowl. Cover the bowl tightly with plastic wrap or you can place a plate over the top of the bowl. Microwave on high for about 2 minutes or until the cauliflower is tender. Set aside. 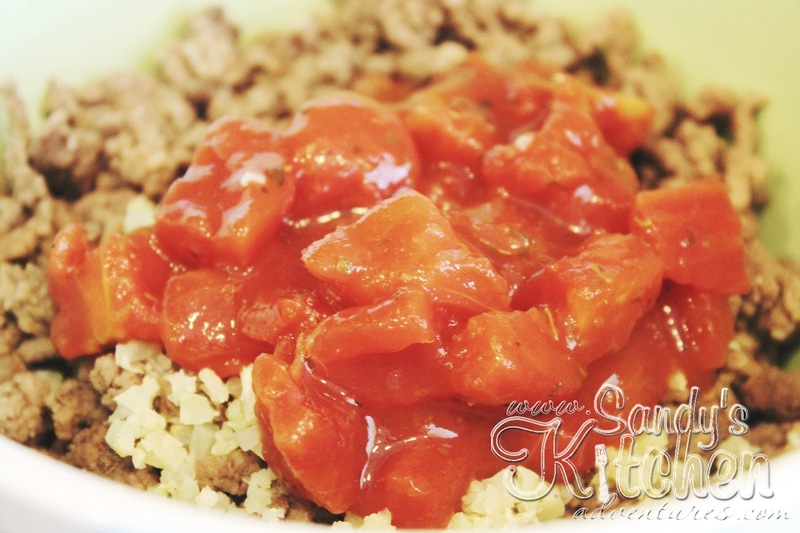 Combine cooked ground beef, cooked cauliflower, diced tomatoes, BBQ sauce and seasonings of choice in a large bowl. 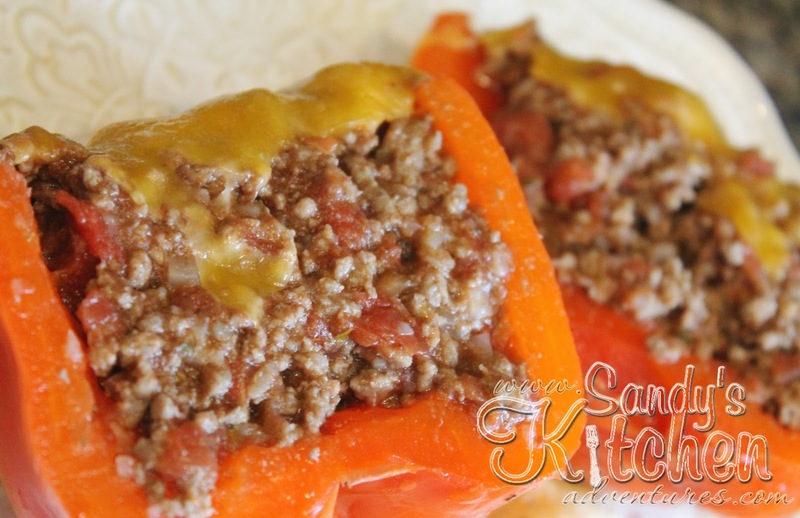 Evenly divide meat mixture between the two cooked peppers. Cover with foil and bake for 30 minutes. 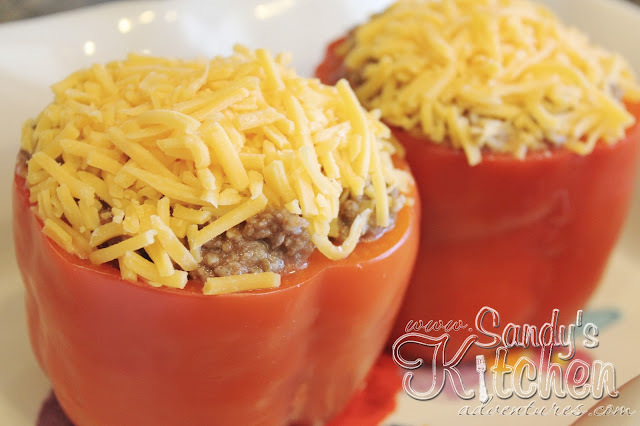 Remove foil and sprinkle 1/4 cup of cheese on each pepper. Bake uncovered for 5 more minutes or until cheese is melted. 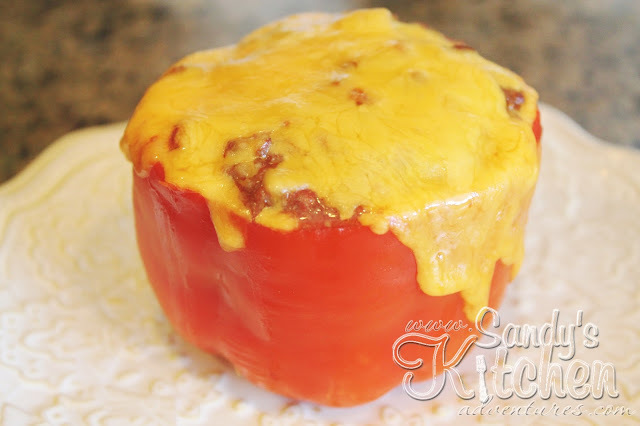 One stuffed pepper is one full Lean and Green Meal. *If you do not have Stacey Hawkin's Honey BBQ Seasoning, you can use any combination of seasonings of your choice. Just make sure the total number of condiments does not exceed a total amount of 2 Condiments.